Micro Air® source capture collectors are available in models from 100 to 6000 CFM and more with a broad range of filtration options. Micro Air® SC150 is an exceptional unit for soldering or other operations where source capture is required. 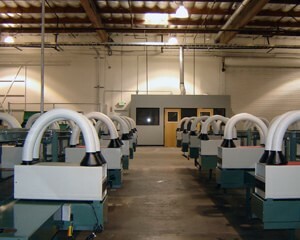 Solder, smoke or other polluted air is captured at the source and flows through the arm or arms, and through the foam prefilter. This prefilter effectively removes the larger particles. Next the smaller particle of polluted air are captured by the HEPA- type filter and fumes are absorbed by the charcoal/activated alumina filter. The air that is discharged is then pollution-free. Available with either a single or dual arms, this unit is the solution for controlling smoke or odors in soldering, polishing, and/or small gluing operations. 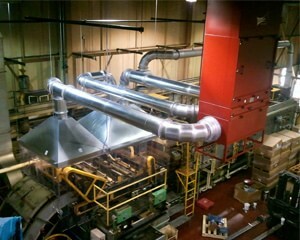 MX3510 ducted to hoods over weld stations. 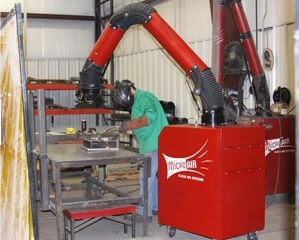 MX6000 equipped with custom inlet plenum and ducted to robotic weld cell. Micro Air's® TM1000 Portable Cartridge collector provides versatility beyond compare in a 120V, single phase, plug and play power module that can be equipped with multiple source capture attachments, from 4", 6" or 8" dia. 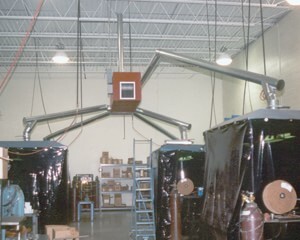 source capture arms, to downdraft or backdraft modules, this unit, with it's dual self-cleaning cartridges, tackles air cleaning jobs anywhere in your plant with just one power unit. 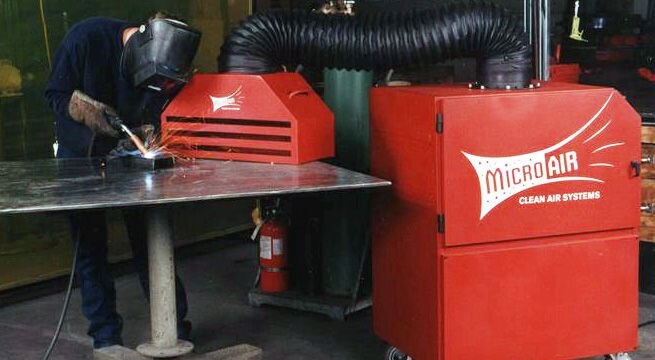 Micro Air® MC2500, equipped with two each high efficiency, flame retardant cartridges per module, is ideal for capture of welding smoke and fumes, grinding dust, or any dry dust generated in an industrial operation. This versatile unit can be equipped with either one or two filter modules each equipped with one or two source capture arms. 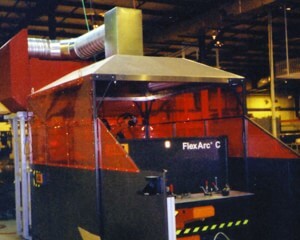 MC3000 ducted to Source Capture Arm collects weld smoke and fumes, removing harmful contaminants from workers breathing zone. 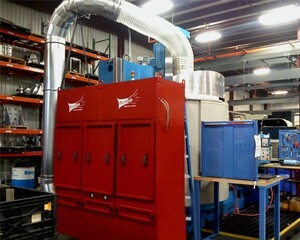 RP2 with ducted to buffing / polishing station. HYDROMAX&REG; wet collectors offer the most technologically innovative design available in the industry today. 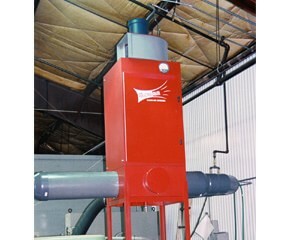 The wet collector ducted to a downdraft table, or ducted directly to the process is the ideal solution for source capture of combustible contaminants. 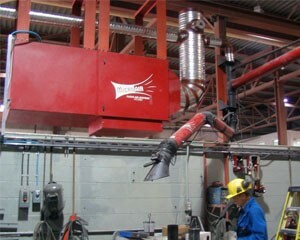 Model OM550DD Machine Mounted Oil-Mist Cleaner captures oil mist pollutants before they spread to surrounding areas. 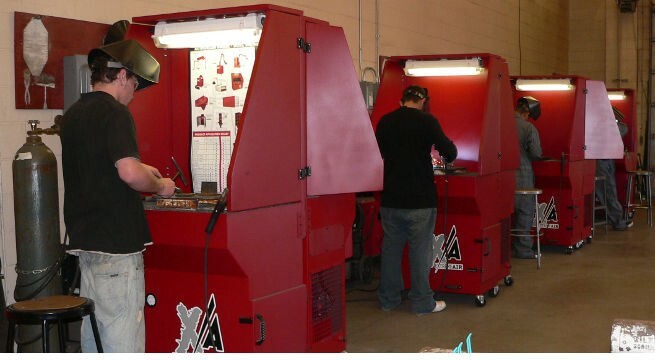 It handles oil or coolant mist pollutants from cutting, grinding, and polishing equipment, and features a 3-stage filtration process, which cleans up to 600 CFM of oil-mist laden air. Features include built-in oil deflector, angled inlet plenum for coolant drainage, and slotted rails for filter installation. 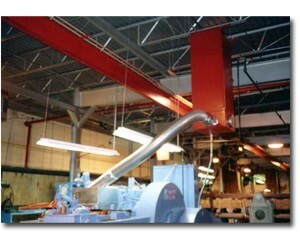 The Micro Air® OM3510 mist collector can be hung from the ceiling. This allows for strategic placement of the units when floor space is at a minimum or unavailable. Micro Air® OM6000DD captures airborne oil or coolant mist through a combination of baffle / mesh type oil impingers and oil mist scrim-lined bag filters. Captured oil drains to bottom of unit and out the oil drain. Featuring multiple pick-ups and hinged door design that provides air bypass, the OM6000DD offers capacity up to 6,000 CFM, depending on diameter of 3 inlet plenums. 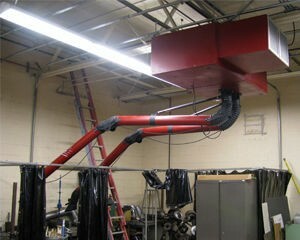 Options include HEPA filter, overload protector, silencer and floor-mount stand. Micro Air® MISTMAX™ MM800 mist collector is designed with the newest technology and proprietary engineering to achieve extreme efficiency (99.98%) without the use of additional HEPA filters. The patented multi=layer MISTMAX™ filter design, developed by Micro Air® to provide filter life of 1 - 5 years, depending on the application. 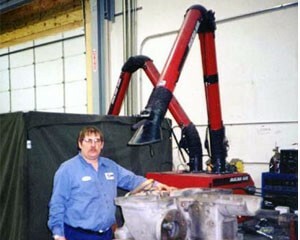 Uncollected coolant and machining oil mist can expose your employees to unwanted and harmful air that can collect on machines, walls, ceilings and floors, creating a hazardous work environment. Micro Air® MM1200™ ducted to the mist generating piece of machinery, removes the mist from the air, leaving a clean, safe work environment. 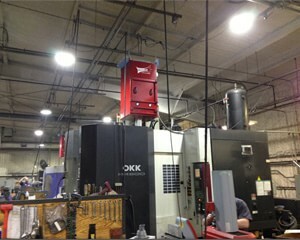 MISTMAX™ MM2400 ceiling hung, ducted to hoods over machining center removes oil and / or coolant mist from the air leaving a clean, safe work environment. 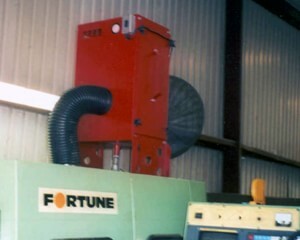 Micro Air® MM3600 ducted to machining center effectively removes over 99.98% of the mist laden pollutants brought into the mist collector and helps the end user maintain low operating costs while meeting the most stringent air quality standards of today. 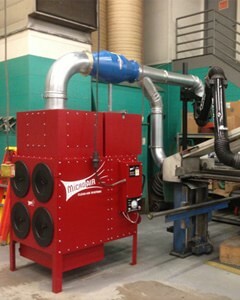 Micro Air® XA23 with up to 250 ft. per minute of downdraft velocity, effectively pulls smoke, fumes and contaminants away from the workers breathing and vision zones, capturing particulate at the source. 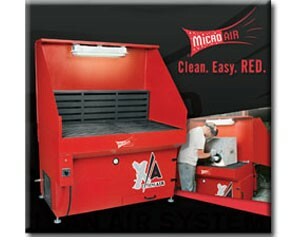 MICRO AIR® XA34 self-contained 3 ft. x 4 ft. downdraft table features Micro Air's revolutionary ROTOPULSE® filter cleaning system which effectively cleans the entire area of the cartridge, providing longer filter life. 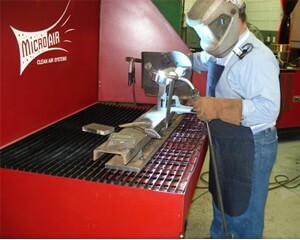 These tables are ideal in welding, grinding, deburring, sanding and finishing, soldering, powder mixing, and buffing applications. 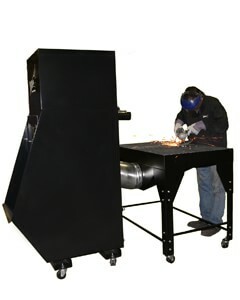 MICRO AIR® XA46 4 ft. x 6 ft. downdraft table pulls contaminants away from workers breathing and vision zones, clearing the air of harmful contaminants. Tables can be configured with or without the back and side shields and features a wide range of operation specific options such as spark arresting sand trays, multiple material options for the top grilles, slotted backdraft plenum, tool trays etc. 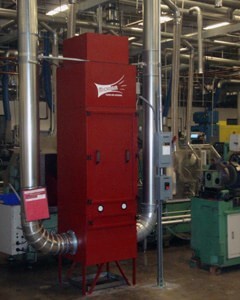 Micro Air® Clean Air Solution Reports Select Link to view report.